Turkmenistan Country political map with 5 Provinces, labeling major Provinces, Ahal Province, Daşoguz Province, Lebap Province, and Mary Province. Turkmenistan Outline map labeled with capital and major cities, Ashgabat, Türkmenabat, Daşoguz, Mary, and Balkanabat. 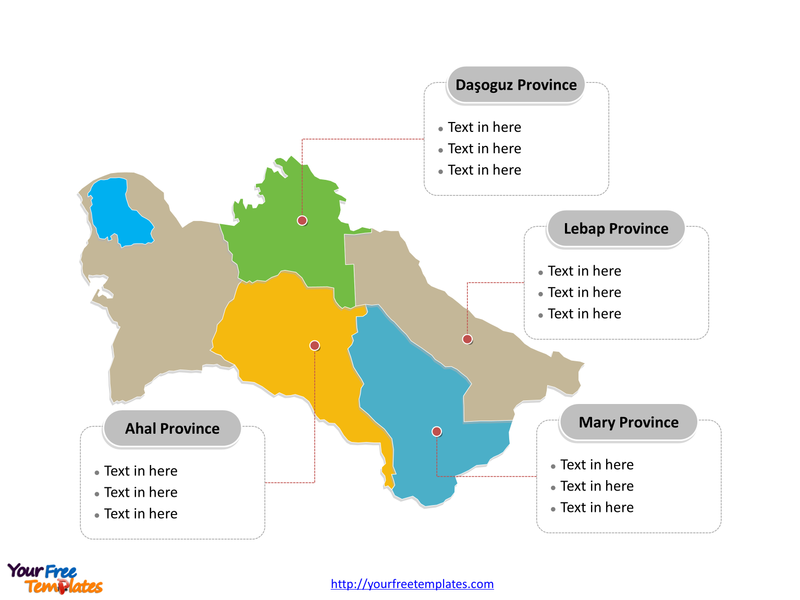 The Map of Turkmenistan Template includes two slides. Slide 1, Country outline map labeled with capital and major cities. Turkmenistan is a country in Central Asia, bordered by Kazakhstan to the northwest, Uzbekistan to the north and east, Afghanistan to the southeast, Iran to the south and southwest, and the Caspian Sea to the west. Ashgabat is the capital and largest city of Turkmenistan, other major cities including Türkmenabat, Daşoguz, Mary, and Balkanabat. 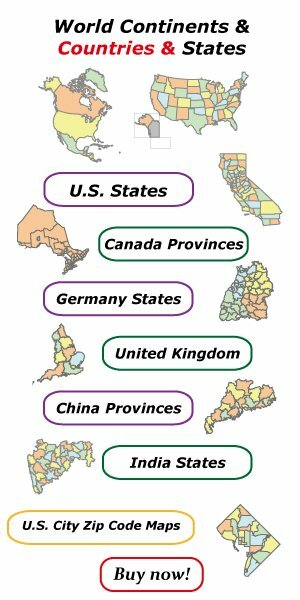 Slide 2, Country political map labeled with major divisions. 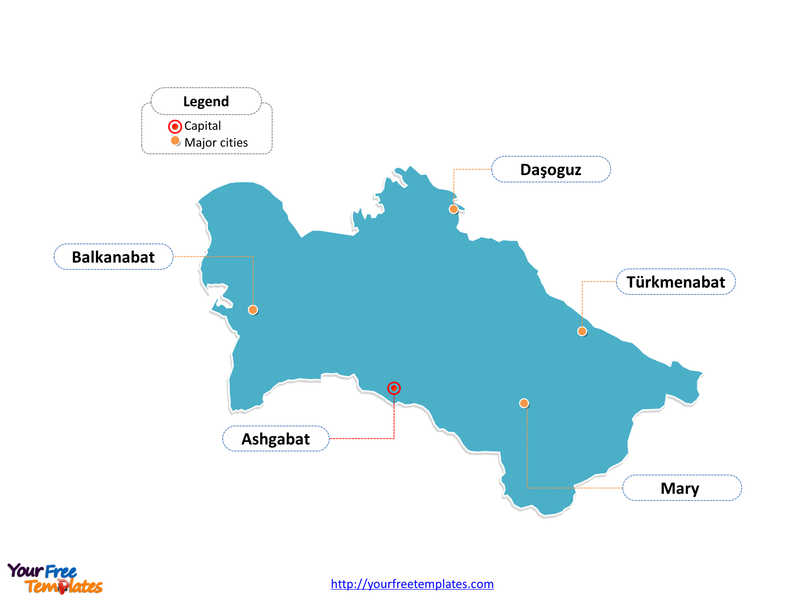 Turkmenistan is a country divided into five provinces and one capital city district; they are Ahal Province, Balkan Province, Daşoguz Province, Lebap Province, Mary Province, and Ashgabat City. Every individual political subdivision is an editable shape.